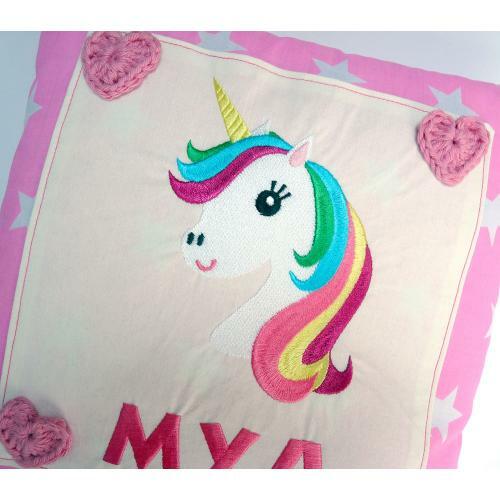 I love this cute unicorn cushion, originally made for a friends little girl for her birthday who is mad on Unicorns and she absolutely loved it. Measures approx 10 x 10 inch. Absolutely thrilled with the personalised apron I got for my daughters 7th birthday. Beautifully made and beautifully wrapped on arrival. Also really impressed with the customer service - when Royal Mail let the seller down and the first delivery didn’t arrive, she managed to get another apron made and dispatched swiftly to ensure the birthday girl still got her present on time which I really appreciated. 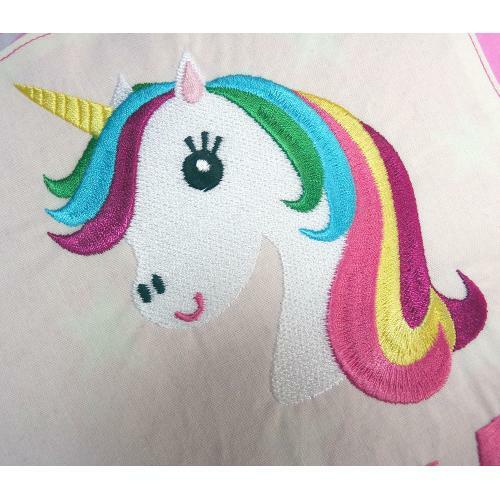 I ordered 2 aprons for my twin grand daughters , who chose the fabrics they wanted from the selection on the website . 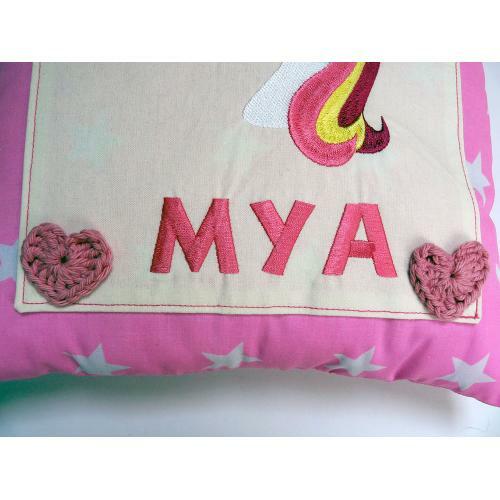 The aprons are gorgeous, beautifully made and personalised with their names embroidered on a pocket . They came wrapped in deep pink coloured tissue paper within a week. Everyone is delighted ! Thank you so much . Personalised cushions for Christmas, great service and lovely quality. 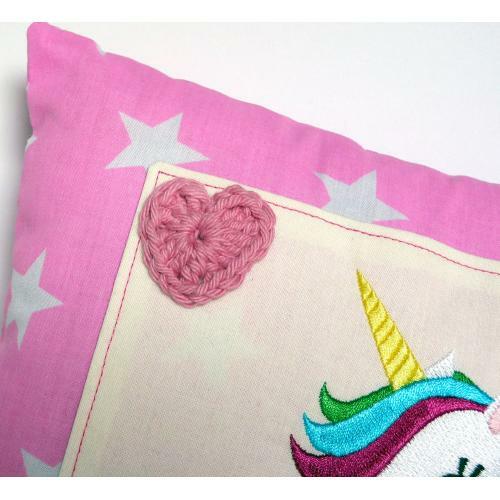 Vicki made a Thomas the tank cushion for my little boy to go with the unicorn cushions for the girls and they are fab! Thank you. 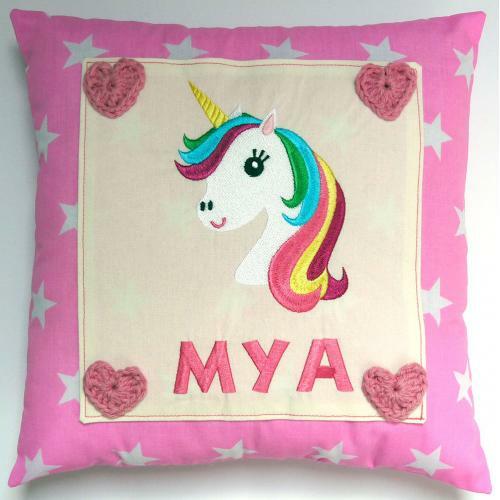 Great cushions, fab service and my three love them, really happy with the Thomas one. Purchased personalised snooker towel. Prompt delivery and recipient very pleased! Excellent purchase - would buy from this retailer again.